Sara Horn’s writing is often born of her own struggles. Like the time she got angry during a sermon. Her pastor was preaching on Proverbs 31, which includes a detailed description of the “excellent wife,” according to King Lemuel. The author of God Strong: The Military Wife’s Spiritual Survival Guide and several more books, a popular speaker and Bible study leader, Sara found her professional and personal responsibilities were grinding her down. That Sunday morning, she didn’t welcome comparison to the super woman of the Bible. Sara’s angst with the sermon led her to what she called a “life changing decision,” to find out how the Bible passage applied to the reality of her life. 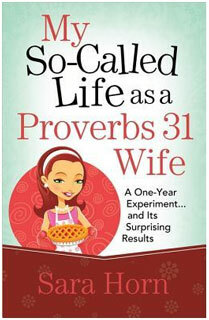 The result became another book, My So Called Life as a Proverbs 31 Wife. That book lead to another, My So-Called Life as a Submissive Wife, which landed Sara on the Today show discussing the concept of biblical submission with Kathie Lee Gifford and Hoda Kotb. Closely tied to her own experiences, Sara’s books are often catalysts of change and growth in her life throughout the writing process and beyond. 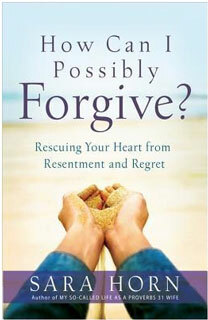 Her latest book, How Can I Possibly Forgive?, was born of her own struggles to forgive and to overcome pain. 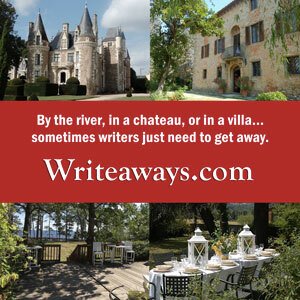 Often a writer has an experience, processes it and learns from it, then writes about it, so someone else can benefit from her experience. In this case, Sara said she’s still learning from the principles she discovered writing about forgiveness, principles that have ongoing benefits for healthy relationships. In all her books, Sara freely reveals her own shortcomings, from cooking mishaps to examples of when she was the one who was in need of forgiveness. The concept of community is especially strong in Sara’s relationships with her fellow military spouses. She wrote God Strong based on her own crisis of strength during her Navy husband’s first deployment. Her ministry, Wives of Faith, including face-to-face and online connections, grew organically from that book and Sara’s blog. 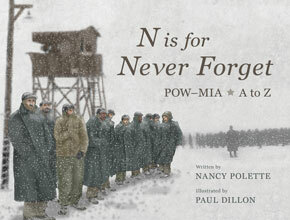 Telling the story of her life as a military wife was and is especially important to her. Something as simple as a blog entry can make a difference to someone, she said. After nearly fifteen years of war, says Sara, “I think we’re all getting tired, but there are still new military spouses coming in, still marriages who need that support. Sara’s leadership team for her Wives of Faith ministry is part of her own community and support network. Sara emphasizes the importance of honesty in personal relationships, not just sharing the most quotable and Instagrammable moments of life. 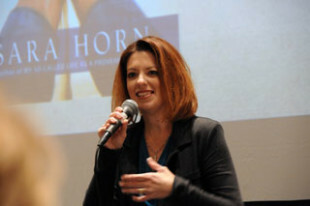 Feature photo: Sara Horn talks about forgiveness at the Hearts at Home North Central Conference in Rochester, Minnesota. Photo by Karen Pavlicin-Fragnito.